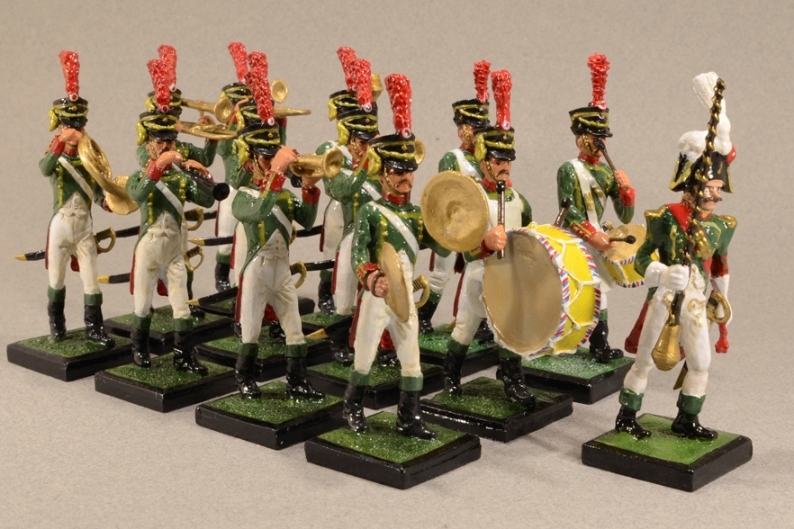 1808 Spanish Patria Regiment music band. Band of thirteen military musicians; a drum major, one bass drum, one cymbal, two trombones, one bassoon, one French horn, two clarinets, two trumpets and two drums. Presented in our green handmade classic case. For a band with a different composition to the above, on request you can order the following musicians; Bandmaster 231/8, Bell tree 231/12, Fife 231/14, Serpentine 231/16 and Sackbut 231/18.